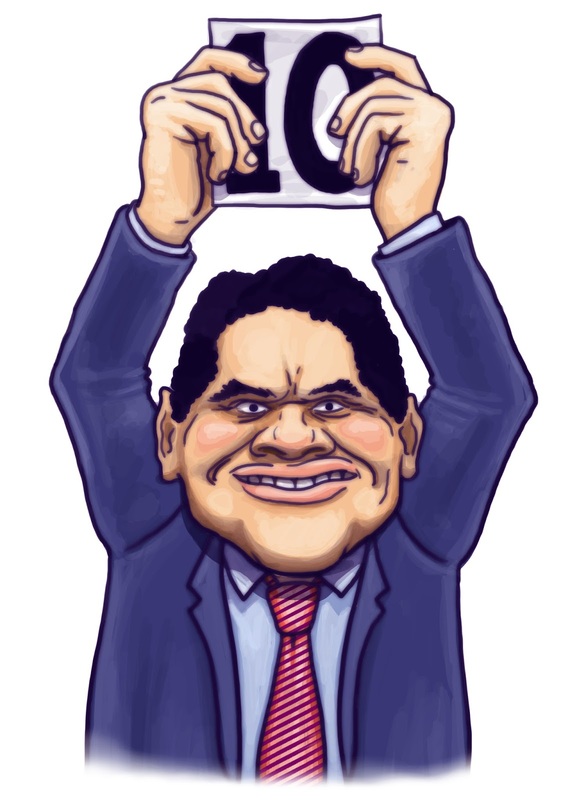 Sticking with the theme of videogame execs, here's a drawing of Nintendo's Reggie Fils-Aime which I did for Edge magazine. Reggie's one of the more benign gaming suits out there, I suppose - ponderous and vast, with a halting, jargon-heavy stage manner that suggests he's somehow ventriloquised by a text-to-speech robot scanning the pages of Marketing Horseshit News. He's also said some amusingly daft things about review scores, such as: "Reviews of a system or reviews of a game really come down to the quality and capability of the reviewer." Oh, bless.